June represents the halfway point of the year, being the sixth of the twelve months of both the Gregorian calendar which we use currently in the West… and also the earlier Julian calendar, named for Julius Caesar, namesake of July. Where do we get the name for June? Ovid, author of that bi-millennial best selling magnum opus “Metamorphoses” — where he takes the stories of the Greek myths and gives them Roman names — suggests two possible etymologies. 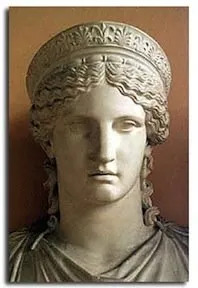 The first and more likely origin is the Roman goddess Juno, wife of Jupiter, who was referred to as Hera by the Greeks. She is the patroness of marriages, and most marriages happen during June. It was considered good luck to get married during June, though the good weather and school vacation could have something to do with it now. The second possibility Ovid suggested is that that the month was named for Iuniores which is Latin for “young people” in the same way that May is named for “elders” or Maiores. And as we all recall from Indiana Jones and the Last Crusade there was no J in Latin in the 1st century. June contains the longest days of the year, at least in the Northern hemisphere, including the very longest day(light) of the year, the Summer Solstice. This is also called Midsummer Day — made famous by Shakespeare’s play A Midsummer Night’s Dream — when the “sun stands still” in its trek north in the sky, and reverses its course and begins heading south. June contains the festival days in the Christian calendar for the birth of St. John the Baptist, which occurred six months before the nativity of Jesus. It also celebrates the festivals of St. Peter and St. Paul the patron saints of Rome. And in Rome, if you throw in the Basilica of St. Mary Major in Rome, you have Peter, Paul, and Mary, no relation to the folk music group. The 1st of June is the beginning of the meteorological summer in the Northern hemisphere. In the pagan calendar, the summer solstice is the time of Litha as the Winter Solstice is Yule, an old Norse word for a twelve-day celebration. June hosts such important holidays in the year, so mark your calendar, as Flag Day (June 14), International Picnic Day (June 18), and the perennial favorite Juneteenth (June 19) all happen during this month. So June is more than just Dads and Grads.